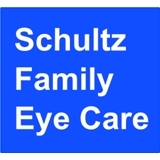 Schultz Family Eye Care (Nutley) - Book Appointment Online! At Schultz Family Eye Care, our mission is to provide personalized and state-of-the-art care, education and products to fit your needs and lifestyle. Completing the information sheet on line will make your visit go smoothly. We hope you enjoy your visit to our web site and are looking forward to seeing you in person! If you're looking for quality care with a personal touch, we look forward to the opportunity of serving your family's eye care needs. We are conveniently located near the center of Nutley and would be delighted to have you as a patient. Feel free to call with any question for the doctor-we are here as an advocate for your eye health.